Puma was working with Scenario, an offshoot of its last formal PR AOR B|W|R Public Relations. WESTFORD, MA: Puma North America has selected Berk Communications as its PR AOR. Berk Communications started working for the shoe and apparel company as its PR AOR on February 1. 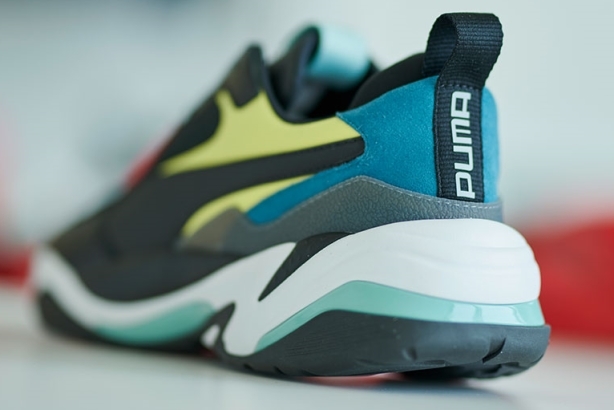 There was no RFP, as Puma had a prior relationship with Berk that started in September 2018. The agency will be working on three large initiatives for Puma, a brand representative told PRWeek. As Puma recently re-entered the basketball market, Berk will help the rebirth of Puma’s basketball outreach, providing support to build the brand’s athlete roster. Berk will also handle media relations for product launches and support for Puma’s lifestyle products. Additionally, the agency will help with Puma #Reform, a project supporting sports, music, and entertainment celebrities who advocate for social causes. Puma has already worked with hip-hop star Meek Mill, Olympic athlete Tommie Smith, Women's National Basketball Association athlete Skylar Diggins-Smith, and Milwaukee Bucks player Sterling Brown. Adam Petrick, Puma’s global director of brand and marketing, said taking a stand on social issues is important to Puma’s comms strategy and to the company as a whole. "[We are big supporters of] fighting for social justice, particularly in the criminal justice area, and we are working with [Mills] on that as well as all our ambassadors," he said. "Their causes are our causes; that’s how we operate." Berk founder and CEO Ron Berkowitz explained that when his agency worked with Puma in the fall, it helped "launch [Puma’s] new foray into the basketball side of the business." Petrick said the reentry to basketball marks a strategic shift for Puma and the brand is looking to Berk to help guide its comms efforts as that strategy plays out in the rest of the year and beyond. "Berk is instrumental in defining our comms strategy and addressing not only basketball as a sport, but also as a culture," he said. "Their connection to entertainment, music, and fashion is fundamental to that. And it’s great, matching our own internal strategy in thinking about basketball as culture, not just sport." Puma had been working with communications agency Scenario since January, according to a person familiar with the timeline. Scenario was formed on December 10, 2018, when its co-presidents and cofounders Ron Hofmann, Steven Wilson, and Hayley Antonian left Puma’s previous PR AOR, B|W|R Public Relations. Prior to forming Scenario, Wilson said that he, Hoffman, and Antonian had worked the Puma account at B|W|R for seven years. B|W|R did not immediately comment on Puma’s decision. "Between announcing that Scenario was working for Puma and now, there has been a reorganization and some internal shifts at the brand," said Petrick, in a statement provided by Scenario. One of those changes, Petrick said separately, was that Puma’s PR head Katie Sheptyck left the company. Sheptyck could not immediately be reached for comment. Scenario is still doing some work with Puma, added Petrick. "While we are now not working with [Scenario] as the full AOR, we will be working with them on projects and know that we will maintain a great relationship with them in the future," Petrick said in the statement. Petrick would not disclose the financial details or the length of Puma’s contract with Berk. "We are happy with Berk," he said. "We try to pick the right agencies and work with them for long periods." In early 2018, then-owner Kering spun Puma off to shareholders so it could focus on its luxury brands such as Gucci.